Dr. John Dee and his polymath protégé Sir Francis Bacon were the most influential men in the court of Queen Elizabeth I, part of an elite group with invisible control throughout Europe. And, as Steven Sora reveals, not only were they key members of the Rosicrucians, they were the driving force behind England’s colonization of the New World and the eventual establishment of the United States. From Avalon in Newfoundland to New England to Pennsylvania and Virginia, Sora shows how Bacon and Dee’s Rosicrucian impact is felt throughout North America. He details Bacon’s possible authorship of the anonymous Rosicrucian texts of the early 1600s, his connections with Sir Walter Raleigh’s School of Night, and the origins of Rosicrucianism in Bacon’s Order of the Helmet. He explains how Bacon envisioned America as the New Atlantis, a utopia where liberty and freedom of learning prevailed--a key tenet of the “Invisible College” of the Rosicrucian Order--and how Dee convinced the Queen that England had rightful claims in the New World by drawing on legends of both King Arthur and Welsh Prince Madoc voyaging West to America. Sora looks at Rosicrucian influences on the Founding Fathers and earliest settlers of America, such as Washington, Franklin, and William Penn of Pennsylvania, on the American Revolution, and on American colonies, such as the Williamsburg colony. He details how Penn invited Rosicrucians to Philadelphia and how the city’s layout follows esoteric principles, including a direct reference to Bacon’s New Atlantis. Moving into the 1800s and beyond, he reveals how a handful of Rosicrucians served as the Inner Sanctum of the Knights of the Golden Circle and how Rosicrucians are behind the Georgia Guidestones, carved granite monoliths with messages in ancient languages. 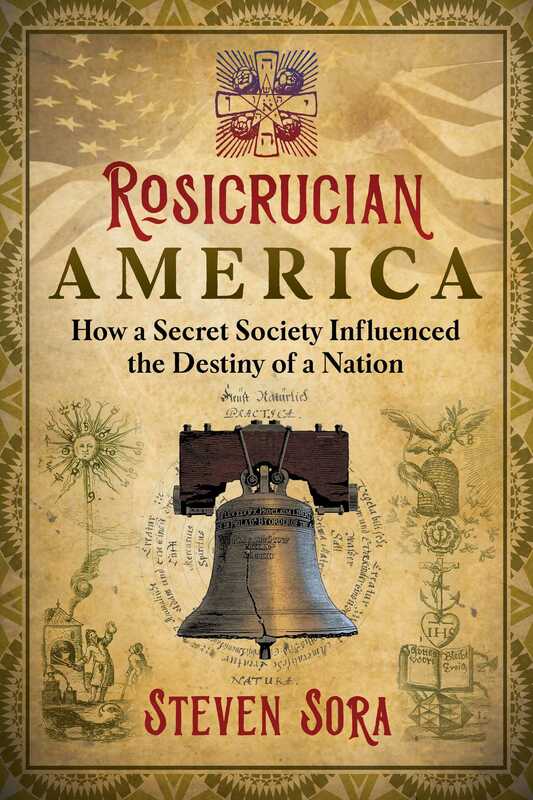 Providing a thorough and expansive view of Rosicrucianism, its occult origins, and its deep imprint on America, Sora shows how this secret society still continues to exert invisible influence on the modern world. History as we have been taught implies an America born in the united efforts of a grass roots movement of a large populace striving for freedom of worship and freedom from highhanded taxation. The truth is that a very small handful conceived of such lofty goals and this group was comprised of alchemists, geomancers, and philosophers, many who met in secret and risked all for exposure. The Invisibles communicated with each other and in their entirety became an invisible college. Its curriculum was an underground stream of knowledge. They survived even while the Cathars of France and Italy were exterminated by the Church. They survived the joint attack on the Templars and the arrest, torture, and death of many in what had been the church’s most powerful orders. Notably, the helmet of Athena gave her the ability of being invisible. Bacon would use this concept throughout his life, being the invisible man behind many works and, along with Dr. John Dee, the founder of the Order of the Rosy Cross (Rosicrucians)--the Invisibles. Bacon and his circle also became the driving force for the English colonization of the Americas. He was also an architect of what would become the American Revolution, even though he lived and died before his work would come to fruition. His device survives on the Virginia state flag as Athena holding her spear. Evidence of his influence also survives in places as distant as Newfoundland and Bermuda. For Bacon, there was an Atlantis. It was directly across the Atlantic Ocean and in the distant past it shared commerce with Europe. He wrote, “You shall understand . . . that about 3000 years ago, or somewhat more, the navigation of the world, especially for remote voyage, was greater than at this day.” Bacon continued: “. . . we lost our traffic with the Americas . . . navigation did everywhere greatly decay.” Atlantis didn’t so much sink as did the European ability to sail the seas. The road to the new Atlantis was not an easy one. Bacon understood first-hand the havoc the churches caused in fighting each other for supremacy. He understood the need for the concept of freedom of speech. He was forced to write his greatest works under the names of others to preserve his precarious status at the court. Possibly the most influential man in the life of Bacon was Dr. John Dee. He was at once the most famous alchemist in Elizabeth’s time, a magician and a wizard who had the ear of the Queen. Dr. Dee served as Elizabeth’s astrologer and influenced her in many ways. It was he who convinced her that England had rights in the New World. He also convinced her of the “fact” that King Arthur’s Avalon was indeed America. Dr. Dee was a most important member in a secret group called the School of Night that included Sir Francis Drake, Sir Walter Raleigh, Christopher Marlowe, Thomas Hariot, George Chapman, and the Earl of Northumberland. They were also considered Dragon-Men. They were the writers, the scientists, and the explorers who drove England to join the race for the New World. Striving for nearly the same goals, they were not necessarily united. Infighting over leadership and land and favors of the Queen, and later King, brought them to betrayal, murder, and even fake murder. For their efforts they were imprisoned, beheaded, expelled from the court, and pushed into poverty. However, collectively, they succeeded. England’s entry into the colonization of the New World started late, but because it put idealistic notions in the forefront, England achieved a different type of success. The Spanish sailed for gold and silver. The French sailed for furs. The English however came to America to re-create Avalon and create the New Atlantis. In the process of bringing new ideals to a New World, they still had to act in secrecy. Both Elizabeth I and her successor, King James, were suspicious of any ideal that threatened their divine rights as king. Many of the original Bacon-authored texts--including his writings on Rosicrucian thought, his blueprint for the New Atlantis, and the disguised political statements garbed in comedy and history attributed to Shakespeare--were brought to America and concealed in vaults. Secret vaults exist on Oak Island in Nova Scotia, under the Bruton Church in Williamsburg, Virginia, and in the Cloisters of Ephrata in Pennsylvania. Some have been exposed, others remain hidden away and protected by a handful of guardians. The tradition is that the first Rosicrucians landed at the Blue Anchor Tavern in Philadelphia with William Penn. Their influence spread south to Virginia and north through New England. Rosicrucians had an influence on the Founding Fathers just as Freemasonry did. The difference was Freemasonry survived above, Rosicrucian tradition survived below the public eye. The Rosicrucians remained invisible. Their influence however is not always invisible. And, as we shall see, their plan for the world can be found on a set of stones erected in Georgia.